Sometimes when I’m left unsupervised, especially on Sunday nights, I end up buying guitars that maybe I shouldn’t have bought, or rather that maybe I don’t really need. 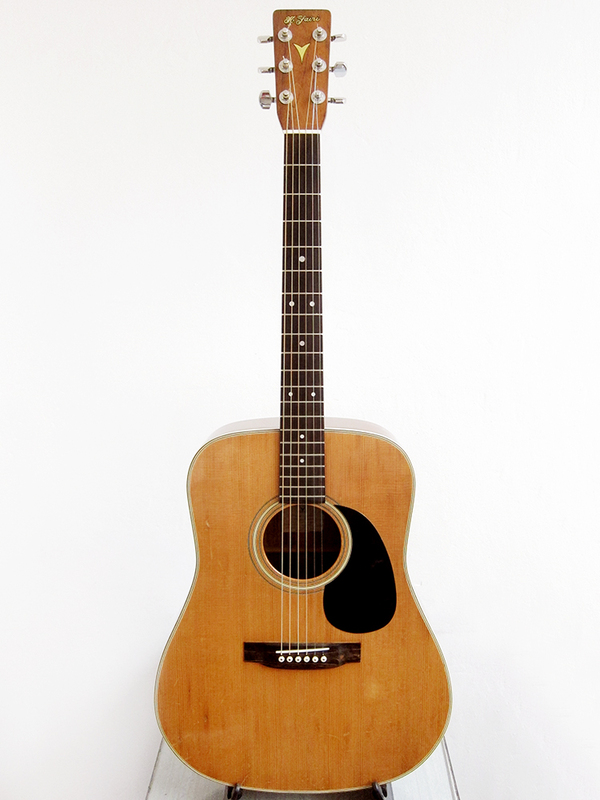 I’ve been thinking a lot about trying to find a 1970’s Gibson J-45, I can’t really afford anything earlier, but that would still set me back a at least 1500€ which is really hard to justify for a guitar player on my level. 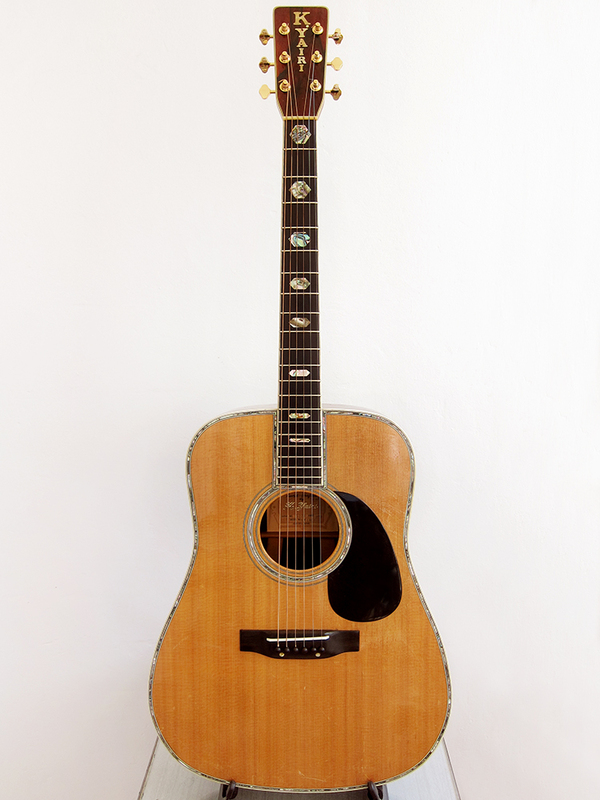 I’ve managed to track down the guitar sound that I love to Gibson’s old jumbo models, think Jackson Browne, and the J-45 or J-50 would have been ideal, I think, it’s hard to know without trying but from all the Youtube clips I’ve been listening to they all have a very similar sound. 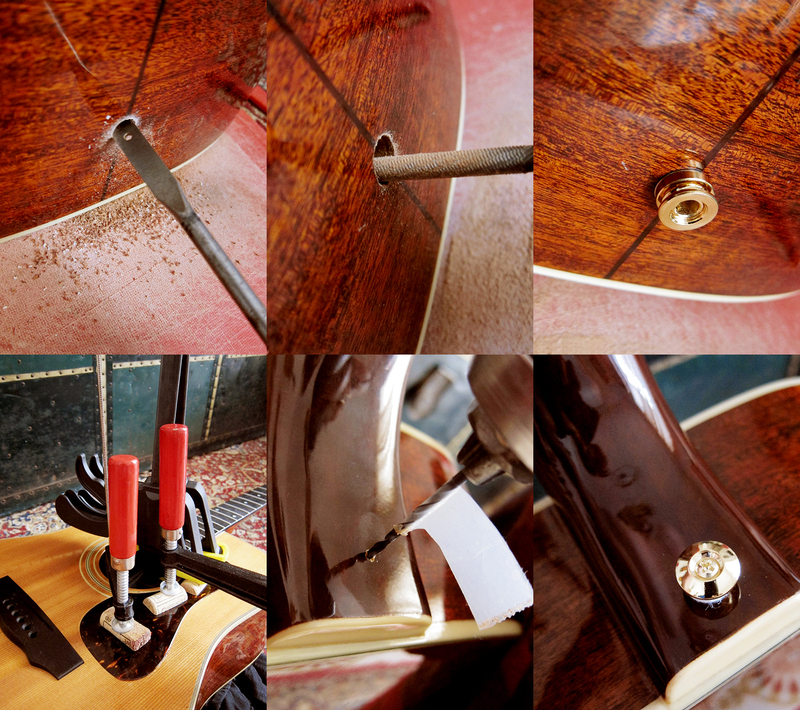 It’s that dry woody booming bass sound that is unmistakably a Gibson J-45. 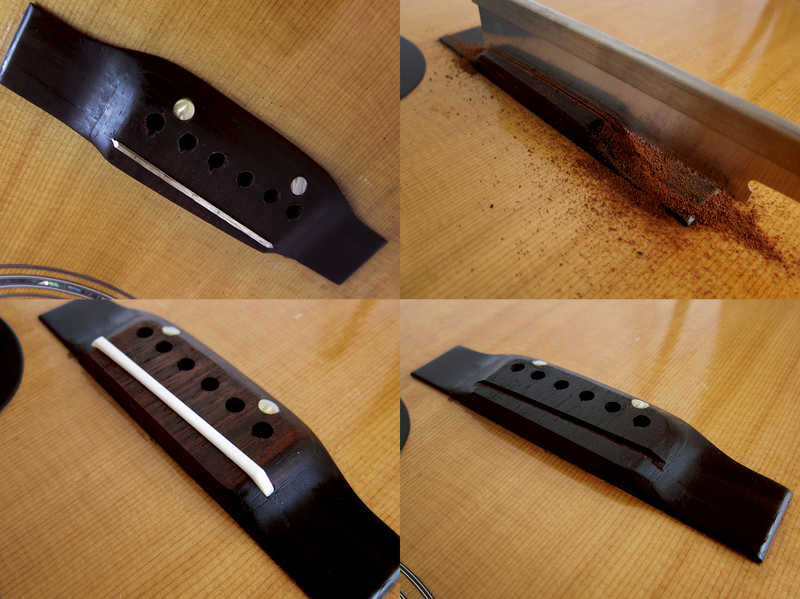 Now I got a Japanese made Guild D-40 copy instead, it wasn’t really planned but I couldn’t resist, or I got carried away, anyway, it’s mine now. 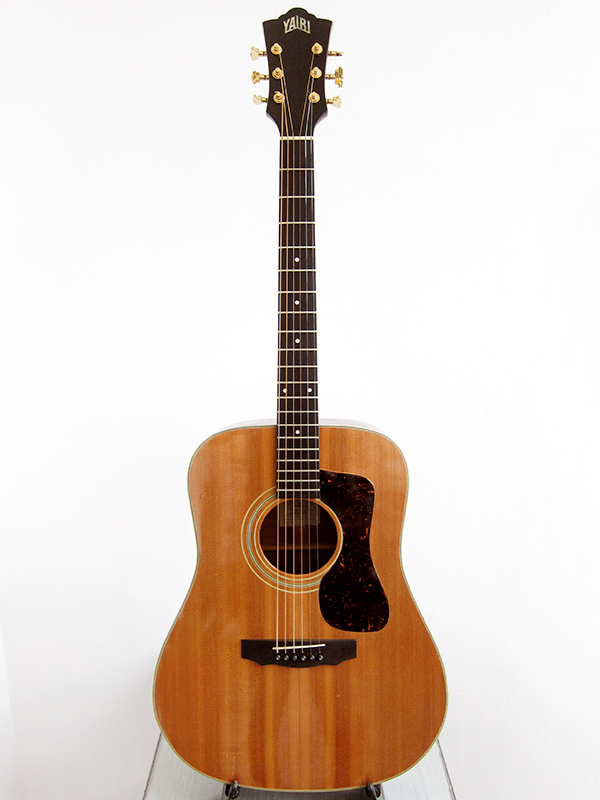 The Guild D-40 has a lot of awesome qualities, it’s a proper bluegrass guitar and was built for their even response over all the strings. I trust that Yairi did a good job 37 years ago and even if it doesn’t sound like a Gibson J-45, I’m sure it will have a lot of warmth and good bass, just what I’ve been looking for. 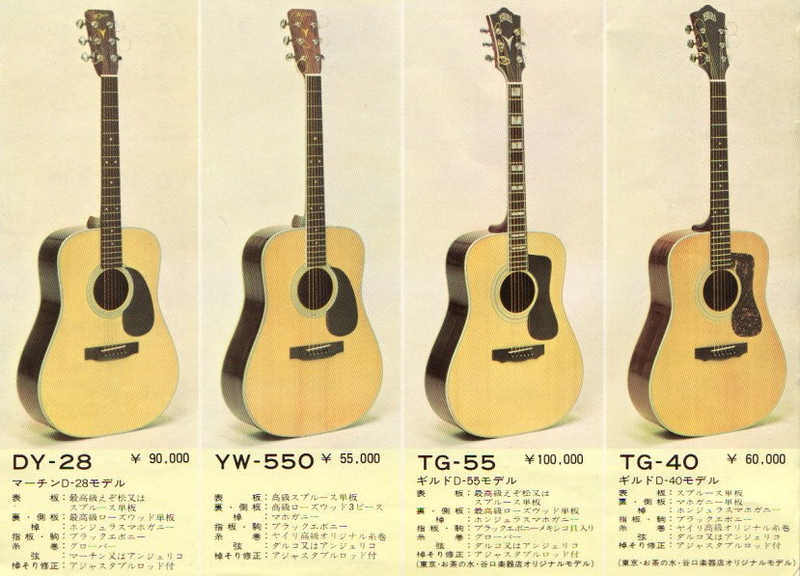 On top of that, it’s a freaking Yairi, I never thought I would be able to afford that and I’ve dreamt of a Yairi since I bought my first Japanese acoustic. K.Yairi TG-40in the Japanese catalogue from the late 1970’s. List price ¥60.000, around 420€, which must have been a fortune back in 1977. 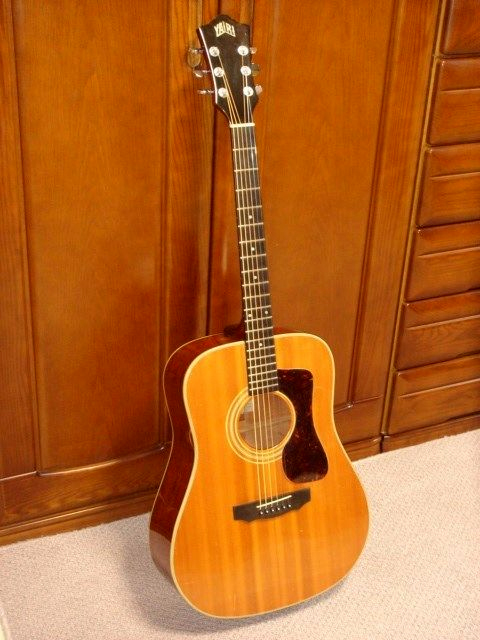 Then again, this was a fairly cheap guitar for being K Yairi, the top model cost ¥200.000, about 1400€.